Malvin Belk Roofing takes your privacy seriously and is committed to safeguarding your privacy online. Because we do gather certain types of information from visitors to our sites, we have developed a privacy statement to help you understand the terms and conditions surrounding the collection and use of that information. This statement discloses the types of information we gather, how it is used, and how you can gain access to and edit any data that we’ve collected about you at any time. Malvin Belk Roofing respects the privacy of individuals who visit our website, send us e-mail, or participate in features/services we offer online. Accordingly, our policy regarding online privacy has been developed using the following guiding principles: Malvin Belk Roofing maintains a strict “no-spam” policy. Subscribers to our e-mail services (or any other feature/service found on our website) will not receive unsolicited e-mail messages from us. Malvin Belk Roofing collects information online primarily to provide our visitors with a more relevant experience on our sites. When doing so, we will make every reasonable effort to avoid excessive or irrelevant collection of data. Malvin Belk Roofing will take reasonable physical, electronic and managerial measures to safeguard and secure any information you provide to us (e.g. data will be stored in protected databases on secured servers with restricted access). 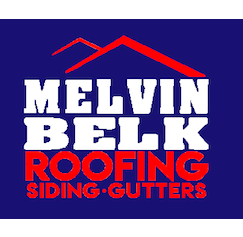 Malvin Belk Roofing will not share any information you’ve provided to us with anyone without your consent other than to provide the service you’ve requested. At the time you register for any such service, you will be notified of, and asked to consent to, the sharing of your information with any particular third party necessary to the provision of the requested service. Malvin Belk Roofing understands the importance of your privacy. We collect and maintain the personal information of our customers for our use. We do not sell, rent, or trade consumer information to third parties, other than as described below, and never without your consent. Third parties may collect personally identifiable information about your online activities over time and across different websites when you use this website. Malvin Belk Roofing may partner with other companies at various times to provide expanded services to our site visitors. As part of such a relationship, we may share with these companies the use of certain interactive website functions (i.e. the E-Mail Reminder Service). Information provided by site visitors through the use of such interactive functions may be available to both our business and our partners. In the event that Malvin Belk Roofing sells or transfers a particular portion of its business assets, consumer information may be one of the business assets transferred as part of the transaction. If substantially all of the assets of Malvin Belk Roofing are acquired, consumer information may be transferred as part of the acquisition. Malvin Belk Roofing may disclose specific personal information based on a good faith belief that such disclosure is necessary to comply with or conform to the law or that such disclosure is necessary to protect the users of our website, the sites themselves, or the public.